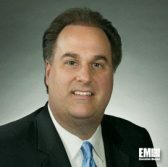 Cameron Chehreh, chief technology officer and vice president of presales engineering at Dell EMC’s federal business, has said mission agility, cost savings and massive amounts of automation are the three reasons why federal agencies adopt software-defined storage, MeriTalk reported Tuesday. “We are seeing government in a variety of areas, adopting not only software-defined storage but software-defined data centers,” Chehreh said. He noted that the adoption of automation by federal agencies helps government employees develop themselves into mission experts while allowing agencies to build up their capabilities that could reduce their information technology infrastructure’s total cost of ownership. Chehreh also cited a Dell EMC-commissioned survey, which found that 85 percent of federal IT leaders have started to implement software-defined data centers to comply with the government’s Modernizing Government Technology Act and data center optimization requirements.